Pepperoni pizza, salted pretzel, plate of sausage, toast and a sunny-side up egg—all foods you've no doubt eaten and probably do so on a fairly regular basis. 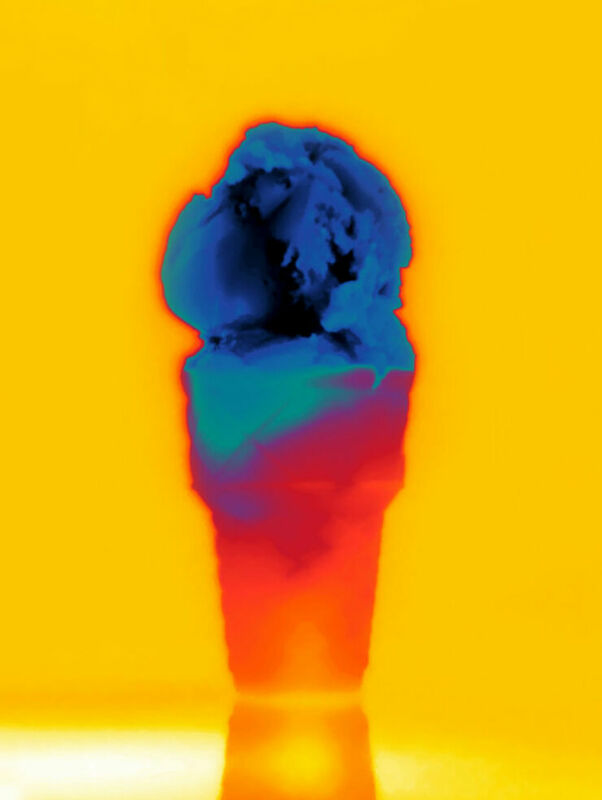 But you've probably never seen them as they appear in this series of images by photographer Brea Souders. 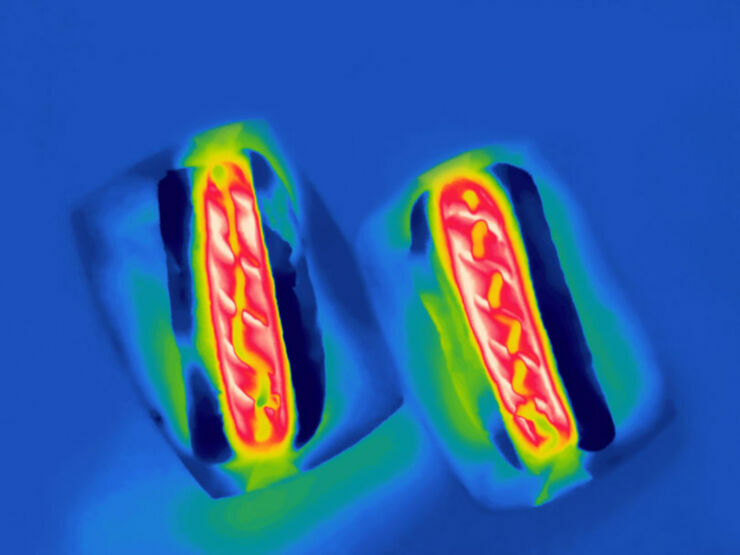 For her project Thermography Sounders took a variety of American foods, what she calls "quintessential American foods found in diners and sold by street vendors" and took pictures of them using a thermal camera, which can see the infrared spectrum. 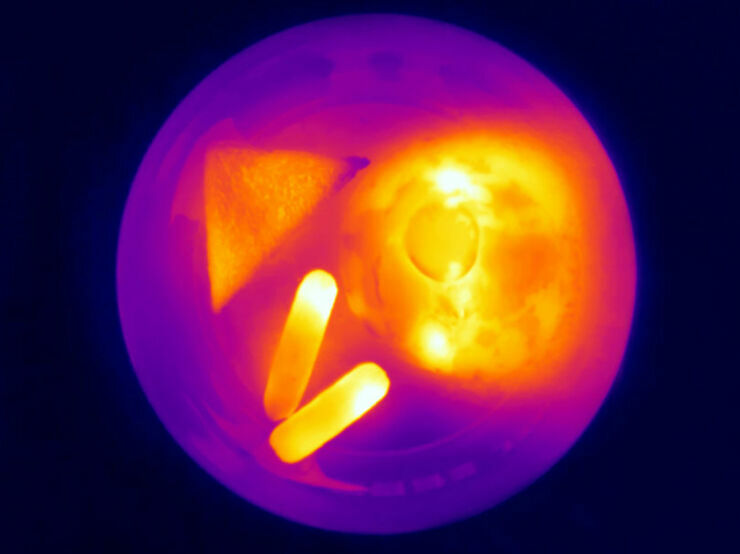 This technique, known as thermography, detects infrared energy emanating from objects and it converts it into a temperature and creates an infrared image called a thermogram. 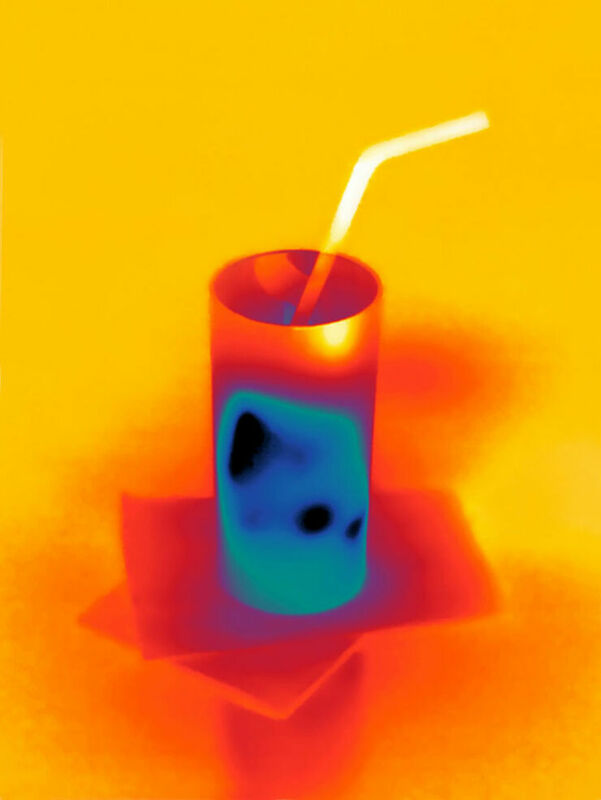 The resulting image shows how heat is distributed through the object being photographed. Souders explains that a good thermal camera will record a specific temperature for every pixel in the image, giving an accuracy of plus or minus 2 °C. She notes how this type of camera is used by the military for night surveillance and by firefighters to locate people trapped in a burning building who might be hidden by smoke. Using it to photograph food is certainly an unconventional use, but it makes for an intriguing set of images. "As an object’s temperature increases, so does the amount of radiation it emits." says Souders. 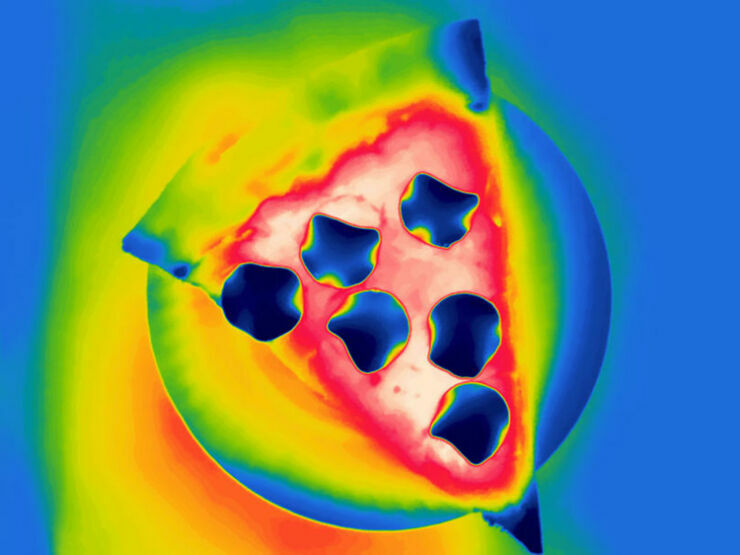 "This special camera uses state-of-the-art technology to detect infrared radiation, thereby displaying differing levels of heat in various colors and creating images reminiscent of pop art." Check out the images below. And head to Souders' website or Instagram for more of her work. Soda and ice cubes in a glass. Classic breakfast plate of sausage, toast & a sunny-side up egg. Hot dogs in buns with ketchup & mustard. A scoop of ice cream in a cake cone. Slice of pepperoni pizza on a plate. 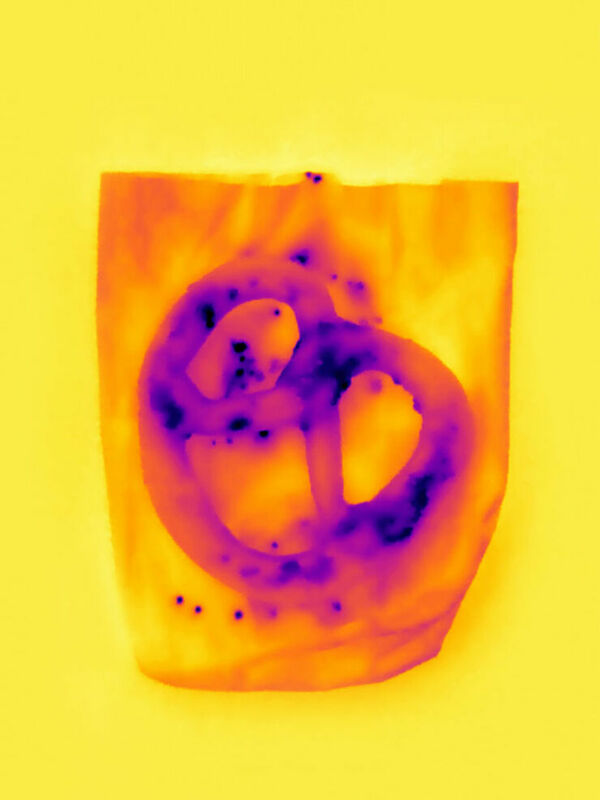 A salted pretzel on a paper bag. 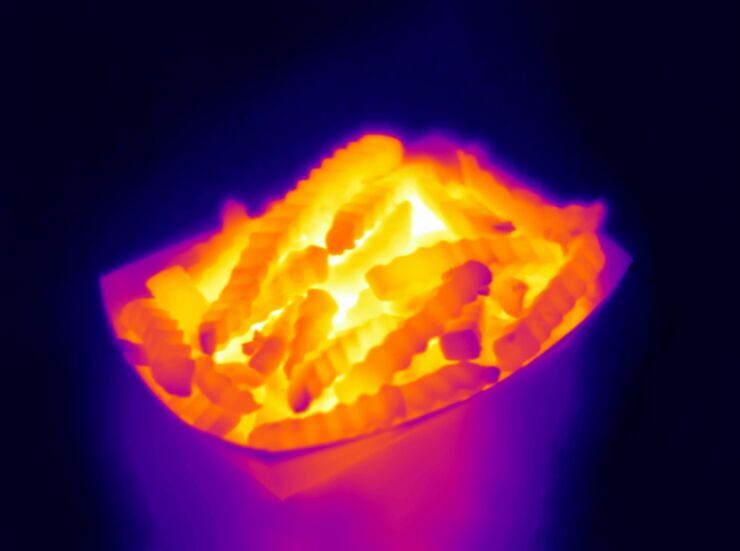 French fries in a paper tray.